The beta version of Virtual Reality is only available on Android. It will be available on iOS in the full release. Click the menu icon located in the top right hand corner. 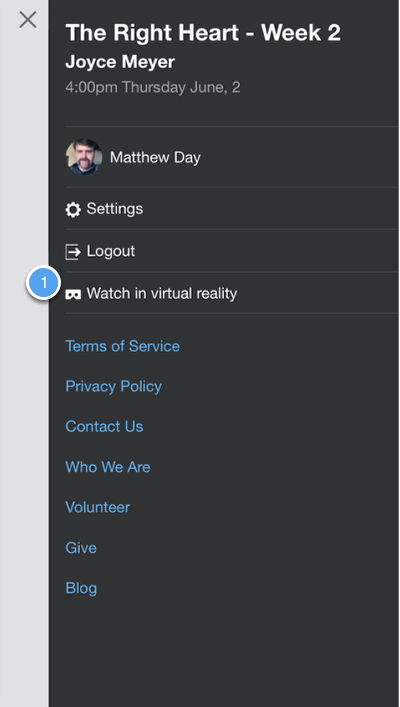 From the mobile menu, select "Virtual reality". This will launch the 360° experience. 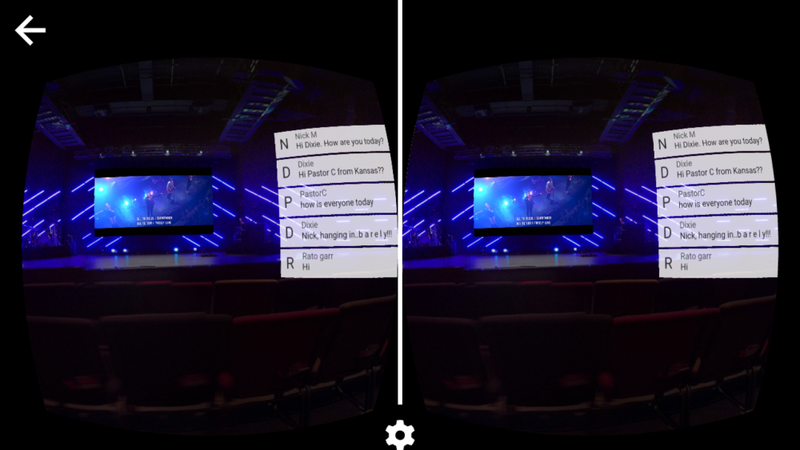 At launch you will see an icon in the bottom right corner of your video screen for activating the stereo view for Google Cardboard (shown above). 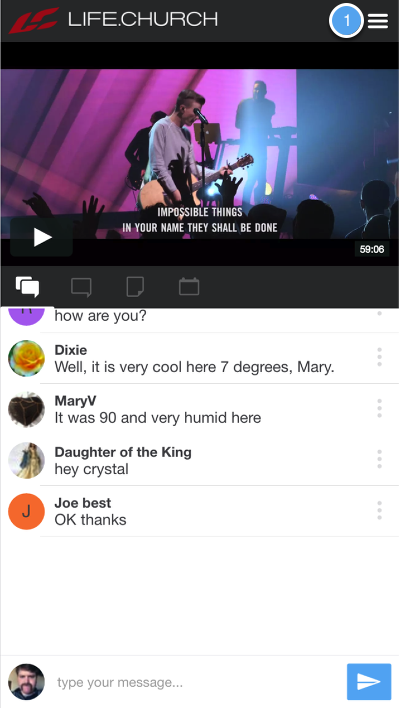 The visitor can now watch your content in a 360° environment. They will be able to see chat and look around the room.